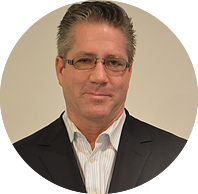 Mr. Kenneth Barton has over 20 years of experience as a seasoned business development professional in the technology sector, specializing in growing new companies from concept to inception. Through his creation of formal business relationships with both domestic and International business partners, Ken has grown start-up companies to over $40 million in enterprise value while driving business development as a platform to dramatically increase shareholder appreciation. These partnerships include Symantec Corporation, USPS and international government agencies and ministries. Mr. Barton has extensive experience in Global Operations and has initiated agreements with ministry level branding and joint venture partners around the world including the Universal Postal Union, a U.N. organization. Mr. Barton has also secured domestic communication services contracts through multi-national corporations and Federal agencies including the GAO (General Accountability Office), the United States Postal Service (USPS), AT&T, Sprint, Qwest, Accenture and other system integrators and defense contractors. Mr. Barton has a B.S. in Economics from the University of Maryland and holds a J.D.